Did आप find Beni hilarious या rather irritating? प्रिय female out of all of The Mummy trilogy? Which is your प्रिय quote from Mummy 2? प्रशंसकों के पसंद: "Honey, what are आप doing? These guys don't use doors!" Do आप think that Rachel played better in the first या the सेकंड movie? Do आप prefer Rachel Weiz as Evie या ... the woman in the third movie? As a rule, I dislike horror फिल्में या thrillers very much. Not only do I dislike today’s slasher films, I am NOT a प्रशंसक of the old horror classics that feature actors like Bela Lugosi, Lon Chaney, Lon Chaney Jr., and Boris Karloff. In other words, the slasher films disgust me and the old horror classics tend to creep me out. a question जोड़ा गया था: How accurate is this movie to real Egyptian history and lore? 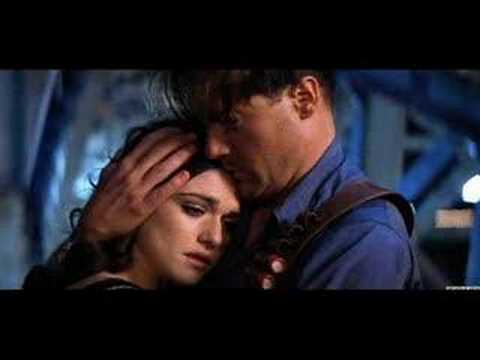 a video जोड़ा गया था: Rick ♥ Evelyn - "Forever And For Always"
a video जोड़ा गया था: The Mummy: Rick & Evie: "Keep Holding On"
(„Тhe Mummy Returns”) Rick killed Imhotep.